Dr. Glenn Ault is a renowned general surgeon in Los Angeles, California. He received his medical diploma from Drexel University College of Medicine in 1993. After getting his medical degree, he did an internship at Drexel University – Hahnemann University Hospital between 1993 and 1994 and at LAC+USC Medical Center, between 1994 and 1995. 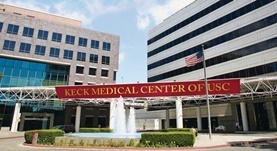 Dr. Ault completed his medical education with a residency in general surgery at Keck School of Medicine, University of Southern California – LAC+USC Medical Center between 1995 and 2002, a residency in colon and rectal surgery at the University of Southern California – LAC +USC Medical Center, between 2003 and 2004, a fellowship in surgical education research at the University of Southern California, between 1997 and 2000, and a fellowship in colorectal surgery research at Keck School of Medicine, University of Southern California, between 2002 and 2003. He is certified by the American Board in surgery, colon & rectal surgery. His subspecialty is general surgery. 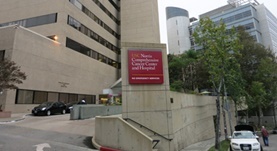 This doctor works in several hospitals in the area, including: Citrus Valley Medical Center Intercommunity Campus, Huntington Memorial Hospital, Keck Medical Center of USC, Children's Hospital of Los Angeles and USC Norris Comprehensive Cancer Center. He was awarded the honors ACS Fellow and Super Doc. He has published 13 articles in collaboration with other doctors. He is a member of the following medical organizations: American College of Surgeons, Association for Surgical Education, Society for Surgery of the Alimentary Tract, American Society of Colon and Rectal Surgeons, American Medical Association and International Society of University Colon and Rectal Surgeons.